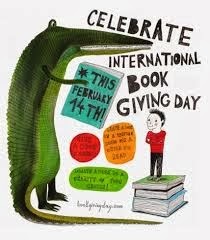 February 14 is International Book Giving Day. It’s not recognised by the United Nations, but it is an idea that is catching on around the world since it was begun by American book blogger, Amy Broadmore, in 2012. Why give a book on what’s also St Valentine’s Day? A book lasts longer than a box of chocolates or a bunch of roses. It is calorie free, cholesterol free, guilt free and does not provoke allergic reactions. But it can also be so powerful that tyrants like Pol Pot felt they had to massacre book readers. A book can lead you to paradise or rebellion. A book. A book can give them hope, the power to dream of what life might be. Give your best friend a book you’ve enjoyed. Give your local school a book you think will inspire kids, or just make them laugh. If you want your kids to be intelligent, give them books: reading creates new neural connections in a child’s brain, by stimulating the growth of new neurons as they imagine the world the writer has put on paper. If you want your kids to be more intelligent, give them more books. A book is a small, transportable, delightful universe you can keep in your pocket, handbag, glove box or desk drawer, and take out to vanish into when the world is not as you would like it to be. This Valentine’s Day, give books. The Australian Children’s Laureate is an initiative developed by the Australian Children’s Literature Alliance (ACLA), founded in 2008. Every two years a children’s author or illustrator is awarded this prestigious role for their outstanding contribution to children’s literature. 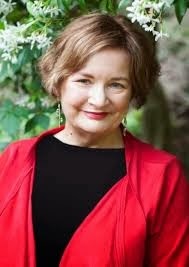 The Laureate acts as a national and international ambassador for Australian children’s literature to promote the transformational power of reading and story in the lives of young Australians.